Invasive fungal pathogens Batrachochytrium dendrobatidis (Bd) and B. salamandrivorans (Bsal) are causing mortality events and population declines in amphibians around the world. 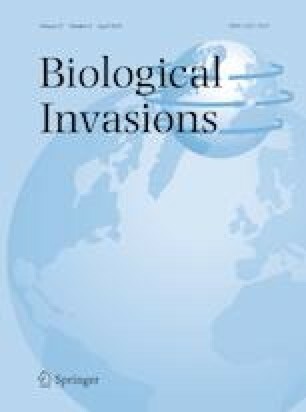 B. salamandrivorans has not been found in the Americas but is predicted to emerge there given the presence of competent hosts, high volume import pathways, and lack of effective biosecurity measures. Eastern newts (Notophthalmus viridescens) are the most abundant and widespread salamanders in United States with known susceptibility to both fungi. However, little is known about how their current Bd infections will interact with novel Bsal infections. Here, we ran a series of experiments in which we exposed newts to each fungal pathogen, combinations of both fungi, and three Bd isolates to: (1) determine if natural exposure to Bd provides protection against Bsal, (2) quantify the effect of co-infections on newt survival, and (3) examine if resistance responses are general to multiple lineages. We found that hosts exposed under simultaneous co-infections experienced 78% mortality over a period of 18 weeks, which was driven by the persistence of Bsal because newts cleared Bd infection within a month. In a subsequent experiment, resistant newts also resolved infections of three Bd genotypes, suggesting that the defense mechanism is effective across all lineages. However, re-exposing these individuals with a tenfold higher dose (106Bd zoospores) increased their susceptibility to Bsal, and 93% of them sustained Bsal infections. Our findings will improve the estimates of decline risk for a species that could serve as a potential superspreader of Bsal in North America. The online version of this article ( https://doi.org/10.1007/s10530-019-01973-3) contains supplementary material, which is available to authorized users. We thank J. Ho, A. Chan, B. Friday, C. Holzheuser, A.L. López-Torres, S. Smith for their help during collection or for performing amphibian husbandry during the experiment. We thank R.N. Harris and several reviewers who provided comments to improve and clarify earlier versions of this manuscript. We followed all the applicable institutional and national guidelines for the care and use of animals in this study. Newts were collected under MD Department of Natural Resources permit No. 56427, lab protocols were performed under IACUC protocol R-15-15. We also thank USFWS for granting the Injurious Wildlife permit MA9250B-0. A.V. Longo was supported by NSF Postdoctoral Fellowship in Biology (DEB-1523551). SESYNC Undergraduate Internship supported J. Ho as an undergraduate summer assistant. BAND Foundation provided funds for this project as part of ‘Bsal susceptibility trials for species of concern’. AVL designed the methodology, performed the experiment, analyzed the data, and wrote the manuscript. RCF and KRL provided lab space and contributed critically to the manuscript. All authors gave final approval for publication.